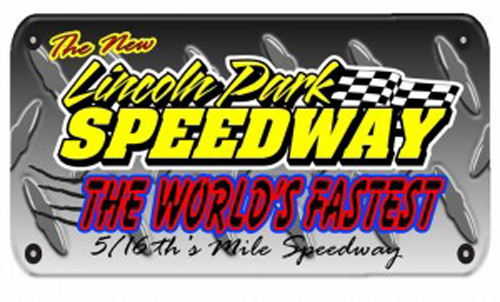 PUTNAMVILLE — The rains held off over the weekend for Lincoln Park Speedway to host 113-cars and drivers for Saturday evening’s show. Emotions were high in victory lane for several drivers that hadn’t taken the checkered flag for quite some time. There were some tears of joy from youngster Jordan Wever, who captured his first feature win in two years. The UMP Modified pilot held off challenges from two-time winner Derek Groomer early before pulling away to a solid victory. Crawfordsville’s Bryce Shidler picked up his first victory while holding off last week’s UMP Super Stock winner, Jonny Newgent. Benton, Ill. native Shane Cockrum powered into the lead of the 25-lap sprint car feature on lap eight and held off the field. The first bomber feature came down to the final two corners as Paragon’s Josh Litton got underneath Gary Hayden in turn three and outraced the Coatesville native to the finish line. Brazil’s Devin Wallen recorded the victory in the second bomber feature. Thirty-five sprint cars were on hand to compete for the winner’s share of the purse and the main event had plenty of thrills and chills. Kent Christian led early after pole starter AJ Hopkins got tangled up with Thomas Meseraull early and restarted from the tail. Christian was out front when a red flag came out as Brandon Mattox got upside down. Christian stayed out front until Joe Stornetta Jr. powered up front and the pair swapped the lead for a lap before briefly taking the top spot. Cockrum had closed the gap and was immediately on the tail tank of both of the leaders by lap seven. Cockrum ripped to the lead on lap eight as Stornetta and Christian were wheel-to-wheel for second. By lap 10, Cockrum had opened up a multiple car length lead with Stornetta, Christian, Ethan Barrow and Tim Creech in tow. By lap 13 Cockrum had found his way into lapped traffic and with 10 laps remaining, Cockrum had built a half straightaway. Hopkins had rocketed back through the field into a top-seven spot, but briefly slowed on the front stretch before regaining pace. In the UMP Modified feature, Weaver started on the outside of row one and stayed out front of the field. Groomer threw everything he had at the winner with a couple of slide jobs on each end of the track. However, Wever remained calm and collected the victory as James Walters worked his way up to place third ahead of 18th-place starter Tim Prince and Kenny Carmichael Jr.
Larry Raines and Hayden Rogers started on the front row of the UMP Super Stock feature, but Shidler got to the lead quickly. Raines was diligent in his challenges from multiple different angles, but could not make a pass stick. Behind the pair, Newgent was silently stalking his way and making up ground. Newgent took the top line and pulled even with Raines with five laps to go as Paul Wright held down fourth ahead of Doug McCullough and Wes McClara. Newgent squeezed into second place as the lead pack worked into lapped traffic. Shidler came through turn three as Newgent looked for an opening. However, Shidler nudged a lapped car just enough to create enough space to hold off the charging Newgent at the finish line. Raines took third, Wright was fourth, McCullough placed fifth. In the bomber A-main, Hayden led all but the final half lap of the 15-lap feature race. Ethan Litton was an early challenger to the lead before losing an engine coming out of turn two on the sixth lap .By lap 10 it was Tom Cox that had pulled even and nearly took away the lead before a caution came out to re-set the field. With four laps to go, the restart had Hayden out front once more as Cox worked to close the gap as Josh Litton and Cody Wright were in the mix as well. Heading into the final two corners, Litton set up a line to dive to the bottom of turn three and was able to carry the momentum into turn four and snagged the lead coming out of turn four. Litton took the victory just a week after flipping on the back stretch in the same car. Cox claimed third ahead of Wright, David Wallen and Megan Cavaness.